NEW YORK—March 7, 2018—Melanie Notkin, founder of Savvy Auntie, the multi-platform lifestyle brand designed for cool aunts, great-aunts, godmothers and all women who love kids, and the national bestselling author of SAVVY AUNTIE: The Ultimate Guide for Cool Aunts, Great-Aunts, Godmothers and All Women Who Love Kids, announces the tenth annual day set aside to honor and celebrate aunts and godmothers. The 10th Annual National Auntie’s Day will take place on Sunday, July 22, 2018. Established in 2009 by Melanie Notkin, Auntie’s Day is a reminder to acknowledge, honor and celebrate the aunt(s) in a child’s life, whether she is an Auntie by Relation (ABR) or an Auntie by Choice (ABC) to friends’ children. Auntie’s Day is especially poignant to the one-in-five North American women who identify as PANKs®, or Professional Aunts No Kids, the term Notkin coined in 2008 for the growing demographic of childless women who have a special bond with at least one child in their life. The Power of the PANK, a national joint-study by Savvy Auntie and Weber Shandwick with KRC Research, revealed that PANKs are a sizeable segment of younger women with disposable income, dynamic influence, and a digitally-connected lifestyle. The 23 million North American PANKs are extraordinarily generous, collectively spending $9 billion each year on the children they love. The official Auntie’s Day destination (http://AuntiesDay.com) features ideas on how nieces, nephews and godchildren, and their parents, can celebrate the Savvy Auntie in their lives as well as how aunts can treat themselves on their special day. Like all official days of recognition, Auntie’s Day is listed in Chase’s Calendar of Events. NEW YORK—January 10, 2017— Melanie Notkin, founder of Savvy Auntie, the multi-platform lifestyle brand designed for cool aunt, great-aunts, godmothers and all women who love kids and and national bestselling author of SAVVY AUNTIE: The Ultimate Guide for Cool Aunts, Great-Aunts, Godmothers and All Women Who Love Kids (Morrow 2011) announces the date for the ninth annual national day dedicated to honoring and celebrating aunts and godmothers. Auntie’s Day will take place on Sunday, July 23, 2017. Like all official national days of recognition, Auntie’s Day is listed in Chase’s Calendar of Events. Established by Melanie Notkin in 2009, Auntie’s Day is a time to thank, honor and celebrate the aunt in a child’s life, whether she is an Auntie by Relation (ABR), Auntie by Choice (ABC), godmother, for any woman who loves a child not-her-own. While all aunts are celebrated on this day, the day is especially poignant to one in five American women who identify as PANKs®, or Professional Aunts No Kids. PANKs self-identify as childless or childfree and have a bond with at least one child by relation or by friendship. A study called The Power of the PANK released in November 2012 by Savvy Auntie and Weber Shandwick, a global PR firm, with KRC Research, revealed that childless aunts are a sizeable segment of younger women with disposable income, dynamic influence, and a digitally-connected lifestyle who are extraordinarily generous with the children in their lives, those children’s parents, and our communities at large. 23 million American women are PANKs and are found to collectively spend $9 billion on gifts for children not-their-own each year. On Auntie’s Day – a “Mother’s Day” for aunts - aunts and godmothers will be celebrated with special activities and gifts. The official Auntie’s Day web destination (http://AuntiesDay.com) will feature ideas on how parents and nieces and nephews can celebrate the Savvy Auntie in their lives and how aunts can pamper and treat themselves on their special day. Auntie's Day was founded in 2009 by Melanie Notkin, creator of the popular Savvy Auntie® lifestyle brand, to honor and celebrate aunts and godmothers. NEW YORK—March 07, 2016—Melanie Notkin, founder of Savvy Auntie®, the multi-platform lifestyle brand designed for cool aunt, great-aunts, godmothers and all women who love kids and and national bestselling author of "SAVVY AUNTIE: The Ultimate Guide for Cool Aunts, Great-Aunts, Godmothers and All Women Who Love Kids," announces the date for the eighth annual official national day dedicated to honoring and celebrating aunts and godmothers. Auntie’s Day - http://auntiesday.com - will take place on Sunday, July 24, 2016. Like all official national days of recognition, Auntie’s Day is listed in Chase’s Calendar of Events. Established by Melanie Notkin in 2009, and observed every fourth Sunday in July, Auntie’s Day is a day to acknowledge, honor and celebrate the aunt(s) in a child’s life. These are Aunts by Relation (ABR), Aunts by Choice (ABC), godmothers, and all women who love children not-their-own. While all aunts are celebrated on this day, it is especially poignant to the one-in-five North American women who identify as PANKs®, or Professional Aunts No Kids, as coined by Notkin in 2008. PANKs self-identify as childless, or childfree by choice, and have a special bond with at least one child in their life. A 2012 joint-study entitled "The Power of the PANK" by Savvy Auntie, Weber Shandwick and KRC Research, revealed that childless aunts are a sizable segment of younger women with disposable income, dynamic influence, and a digitally-connected lifestyle who are extraordinarily generous with the children in their lives, those children’s parents, and our communities at large. Numbering 23 million North American women, PANKs collectively spend $9 billion on gifts for children not-their-own each year, baseline just one niece or nephew per aunt. On Auntie’s Day – a “Mother’s Day” for aunts - aunts and godmothers will be celebrated with special activities and gifts. The official Auntie’s Day web destination (http://AuntiesDay.com) features ideas on how parents and nieces and nephews can celebrate the Savvy Auntie in their lives and how aunts can pamper and treat themselves on this special day. The official slogan is: "Aunthood Is a Gift. This Day Is Yours". Founded by Melanie Notkin, Savvy Auntie - http://savvyauntie.com - is the multi-platform lifestyle brand that empowers and engages aunts, serving the PANK demographic discovered and coined by Notkin, and heralded by fabulous kid-loving women everywhere as a modern celebration of Aunthood. Notkin launched Savvy Auntie in 2008 and it remains the first and only resource and online community for this demographic. The brand also includes a popular and engaged social media following, Auntie’s Day, the Savvy Auntie Coolest Toy Awards, and Melanie Notkin’s national bestseller: "SAVVY AUNTIE: The Ultimate Guide for Cool Aunts, Great-Aunts, Godmothers and all Women Who Love Kids" (HarperCollins/Morrow 2011). For more information, visit: http://SavvyAuntie.com and http://MelanieNotkin.com. 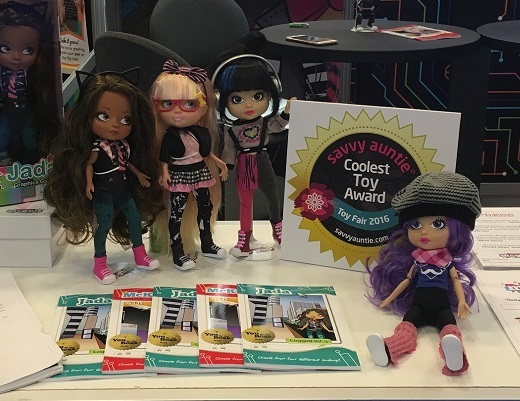 New York, NY – February 17, 2016 – Melanie Notkin, founder and CEO of Savvy Auntie®, the multiplatform lifestyle brand for aunts and godmothers, has revealed the SAVVY AUNTIE COOLEST TOY AWARDS - TOY FAIR 2016. 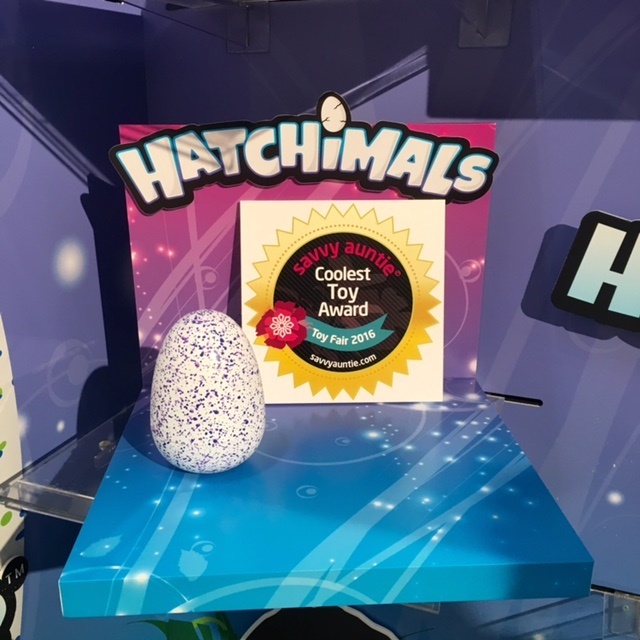 While Notkin has announced an annual list of coolest toy awards at the holiday season since 2009, for the first time, Notkin has added a preview list of coolest toys discovered at Toy Fair. Toy Fair NY (February 13-16, 2016) is produced by the Toy Industry Association. While many toy marketers and toy lists focus on primary caregivers, Notkin created the Savvy Auntie Coolest Toy Awards to give aunts and all secondary caregivers the toy-savvy they need to make the best gift choices for the children in their lives. Savvy Aunties may be secondary caregivers, but they are primary gift givers. 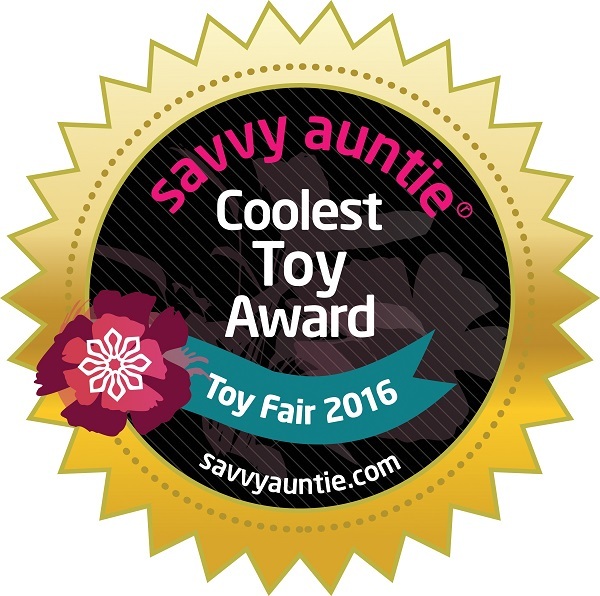 The inaugural list of SAVVY AUNTIE COOLEST TOY AWARDS - TOY FAIR 2016 offers savvy gift-givers the opportunity to get a head start on knowing which toys the children in their lives will be coveting when the toys are available later in 2016. Notkin looked for toys that are fresh and innovative, and as the award suggests, “cool.” Her awardees list includes toys from the largest toy makers like Mattel and Spin Master, to startups like the crowd-funded iBesties. The awardees feature some of the 2016 trends in play, including: coding; robotics; latest technology; makers; “blind bag” surprises; and girl empowerment. Gift-givers will also spot nostalgic toys modernized for Generation Z on the list. Why Savvy Auntie loves it: Like reading and counting, coding is now becoming part of preschooler learning and development. Fisher-Price has developed a seamless way to help the youngest children learn how to code, while also helping their new buddy navigate the playroom! 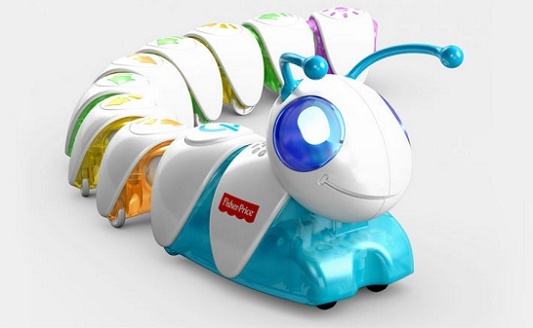 Imagine the satisfaction on a child’s face when he or she realizes they are in control of how their Code-a-Pillar™ moves! 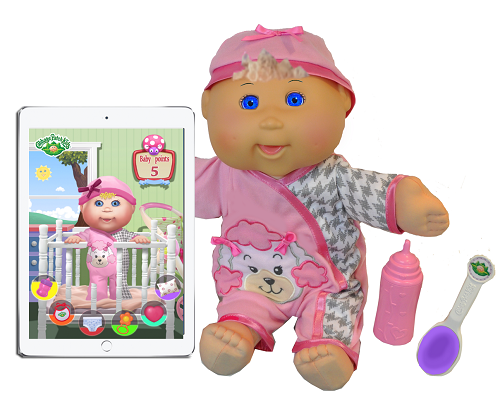 Why Savvy Auntie loves it: There are a few techno-driven baby dolls comings to market in 2016, but the Cabbage Patch Kids Baby So Real is really special. Wicked Cool Toys has teamed up with Seebo, an innovative technology company, to develop a baby doll that needs a child’s attention to feed her, make her feel better when she’s sick, sooth her when she cries, put her to bed when she’s tired, and play with her when she awakens. The bond between this baby doll and it’s “mommy” or “daddy,” along with seeing the child develop nurturing skills and empathy, will be wonderful to watch. Why Savvy Auntie loves it: We almost want to say: “What took so long?” The DC Super Hero Girls are absolutely beautiful and diverse, muscular and powerful. Any gift giver will be a super hero for giving any one – or all – of these action hero fashion dolls to a child. Let them create their own hero’s journey! 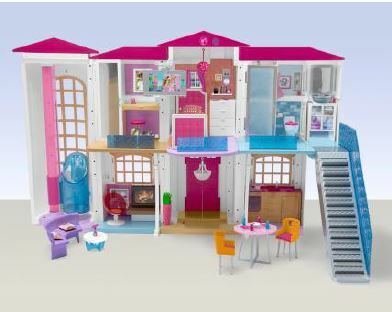 Why Savvy Auntie loves it: There’s no question that Savvy Auntie loves a Barbie Dreamhouse. And while we gave the latest Barbie Dreamhouse a Savvy Auntie Coolest Toy Award in 2015, this smart house, is beyond our wildest imaginations. Sure, it’s a high priced luxury pad at nearly $300, but the technology driving this dream of a playhouse is like nothing we’ve seen before. Why Savvy Auntie loves it: There are a number of cool dolls coming in 2016, but iBesties, a Kickstarter funded toy, is one of the coolest we’ve seen. iBesties Middle School Moguls is designed to empower any girl to become a leader. From McKenna the Business Boss to Sunny the Coding Queen, with three more iBesties available, each doll inspires leadership and/or STEAM development. They each come with a book with vocabulary words like “CEO” and “Mergers and Acquisitions.” But it’s not all “business.” Savvy Auntie loves is that each doll comes with fabulous hair and fashions that many FashioNiecetas adore, so it combines girl empowerment with a classic play pattern. 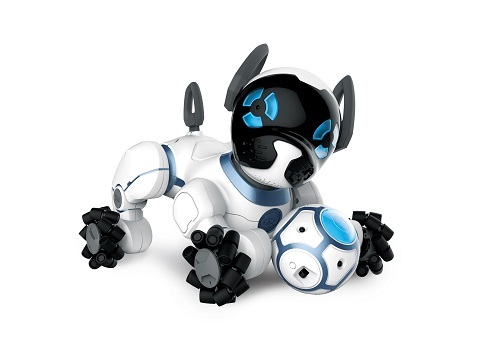 Why Savvy Auntie loves it: This robot dog is so lovable – and loving, you’ll probably forget he’s not a real dog. CHiP is the puppy children are wishing for – if they aren’t able to have a real dog as a pet. Plus, he’s easier to take care of then the real thing. He’ll even find his “bed” to go to sleep and recharge so he’s ready for the next day of play. Why Savvy Auntie loves it: Some tech toys are so high-tech, there’s a long learning curve before kids can get to play. 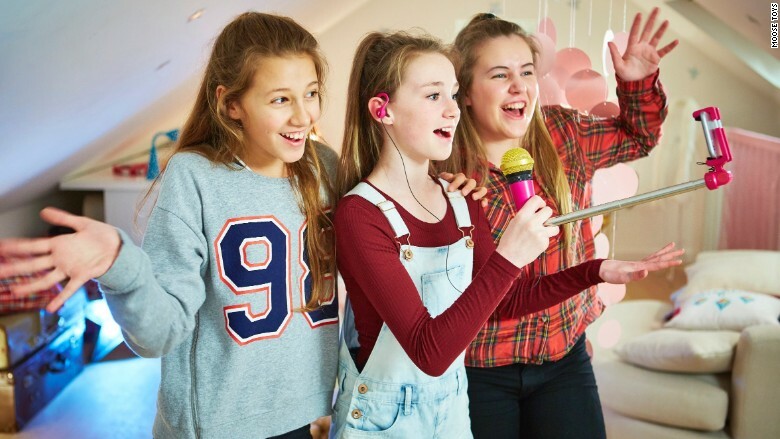 The SelfieMic™ is so simple and fun, combining all the trends kids and teens are into: selfies; lip syncing; social sharing; and the maker trend – that it’s an easy gift choice. Why Savvy Auntie loves it: Construction paired with robots is a hot trend and Vex is one of the leaders with its latest Vex IQ Construction set. While a high price-point, it’s endless in its play and learning value. 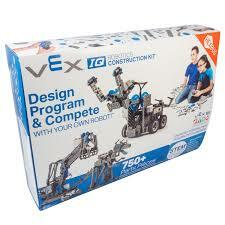 Children can build the models – and also build their own robotic creations from the parts. Vex is releasing smaller sets this summer, at under $20, so kids can decide if Vex IQ is the right choice for them before a larger investment. Founded by Melanie Notkin, Savvy Auntie is the multiplatform lifestyle brand that empowers and engages aunts, serving the PANK® – Professional Aunt No Kids - demographic discovered and coined by Notkin, and heralded by fabulous kid-loving women everywhere as a modern celebration of Aunthood. Notkin launched SavvyAuntie.com in 2008 and it remains the first and only resource and online community for this demographic. The brand also includes a popular and engaged social media following, Auntie’s Day® - a national day founded by Notkin to honor aunts and godmothers each fourth Sunday in July, and Melanie Notkin’s national bestseller: Savvy Auntie: The Ultimate Guide for Cool Aunts, Great-Aunts, Godmothers and all Women Who Love Kids (Morrow 2011). As a lifestyle expert, toy expert and a taste-maker for children’s trends, Notkin appears on TV and as a spokesperson for brands. Savvy Auntie attracts PANKs®, or Professional Aunts No Kids, the term Notkin coined in 2008 for the growing demographic of female consumers who are not moms, by circumstance or choice, and have a special bond with a child in their life. According to the 2012 joint-study entitled: The Power of the PANK, by Savvy Auntie and Weber Shandwick, there are 23 million PANKs in North America. PANKs spend $9 billion each year on nieces and nephews, baseline just one child per PANK. A whopping 76% of PANKs spend over $500 per niece and nephew, per year. For additional information on the Savvy Auntie Coolest Toy Awards or press / on-air and talent inquiries: Press@SavvyAuntie.com. New York, NY – November 11, 2015 – Melanie Notkin, founder and CEO of Savvy Auntie, the multiplatform lifestyle brand for aunts and godmothers, announces the 7th Annual Savvy Auntie Coolest Toy Awards for the 2015 holiday season. A total of 25 cool toys have made the coveted list. With many toy marketers and toy lists focusing on primary caregivers, Notkin created the Savvy Auntie Coolest Toy Awards in 2009 to give aunts and secondary caregivers the toy-savvy they need to make the best gift choices for the children in their lives. Savvy Aunties may be secondary caregivers, but they are primary gift givers. Savvy Auntie attracts PANKs®, or Professional Aunts No Kids, the term Notkin coined in 2008 for the growing demographic of female consumers who are not moms, by circumstance or choice, and have a special bond with a child in their life. According to the 2012 joint-study entitled: The Power of the PANK, by Savvy Auntie and Weber Shandwick, there are 23 million PANKs in North America. PANKs spend $9 billion a year on nieces and nephews, baseline just one child per PANK. A whopping 76% of PANKs spend over $500 per niece and nephew, per year. Notkin’s annual holiday toy list helps Savvy Aunties maintain that “Cool Aunt” status while fostering what Notkin has playfully dubbed: “QualAuntie Time” - the playtime aunts spend with a niece or nephew of any age. Playtime is an important part of any baby or child’s developmental growth. Studies show that from pretend play as babies and toddlers, to social development and problem solving as big kids, toys that children enjoy playing with are an important part of their development. As a respected toy expert, Notkin meets with toy manufactures and industry analysts to discover the year’s ground-breaking toys – the ones on the top of most nieces’ and nephews’ lists. Notkin then adds her own “Savvy Auntuition” to curate the list. “The toys children want to play with the most are the coolest toy choices an aunt can make,” Notkin says. And now, for the first time, Savvy Auntie has partnered with TTPM.com, the #1 source for all things play where consumers can research and find the best playthings. TTPM is the only site that combines expert reviews (video and written) with live price comparison, one-click purchasing, and product availability at major retailers including Amazon, Wal-Mart, Target, Toys“R”Us, and more. The 2015 Savvy Auntie Coolest Toy Award Winners are listed at SavvyAuntie.com/ToyAwards with links to TTPM reviews (as available) along with the Savvy Auntie “Ask a Parent” feature to ask for parent-approval if desired. The 25 winners earn a 2015 Savvy Auntie Coolest Toy Award Seal for promotional purposes. Founded by Melanie Notkin, Savvy Auntie is the multiplatform lifestyle brand that empowers and engages aunts, serving the PANK demographic discovered and coined by Notkin, and heralded by fabulous kid-loving women everywhere as a modern celebration of Aunthood. Notkin launched SavvyAuntie.com in 2008 and it remains the first and only resource and online community for this demographic. The brand also includes a popular and engaged social media following, Auntie’s Day® - a national day founded by Notkin to honor aunts and godmothers, and Melanie Notkin’s national bestseller: Savvy Auntie: The Ultimate Guide for Cool Aunts, Great-Aunts, Godmothers and all Women Who Love Kids (Morrow 2011). As a lifestyle expert, toy expert and a taste-maker for children’s trends, Notkin appears on TV and as a spokesperson for brands. TTPM is the #1 source for all things play where consumers can research and find the best playthings. TTPM is the only site that combines expert reviews (video and written) with live price comparison, one-click purchasing, and product availability at major retailers including Amazon, Wal-Mart, Target, Toys“R”Us, Babies“R”Us, buybuy BABY, GameStop, Best Buy, Sports Authority, Modell’s Sporting Goods, PetSmart, and Wag.com. TTPM ensures parents and gift givers are finding the right products for kids at the best prices. The seasoned TTPM editorial team reviews thousands of products each year, providing comprehensive video and written reviews of toys, baby products, kids’ electronics, sporting goods, and family friendly video games, apps, books, and movies. For additional information on the Savvy Auntie Coolest Toy Awards or on-air and talent inquiries: Press@SavvyAuntie.com. NEW YORK—March 23, 2015—Melanie Notkin, founder of Savvy Auntie, the multi-platform lifestyle brand designed for cool aunt, great-aunts, godmothers and all women who love kids and and national bestselling author of SAVVY AUNTIE: The Ultimate Guide for Cool Aunts, Great-Aunts, Godmothers and All Women Who Love Kids (Morrow 2011) announces the date for the seventh annual national day dedicated to honoring and celebrating aunts and godmothers. Auntie’s Day will take place on Sunday, July 26, 2015. Like all official national days of recognition, Auntie’s Day is listed in Chase’s Calendar of Events. Sponsored by Savvy Auntie, Auntie’s Day, is a time to thank, honor and celebrate the aunt in a child’s life, whether she is an Auntie by Relation (ABR), Auntie by Choice (ABC), or godmother, for everything she does for a child not-her-own. While all aunts are celebrated on this day, the day is especially poignant to one in five American women who identify as PANKs®, or Professional Aunts No Kids. PANKs self-identify as childless or childfree and have a bond with at least one child by relation or by friendship. A study called The Power of the PANK released in November 2012 by Savvy Auntie and Weber Shandwick, a global PR firm, with KRC Research, revealed that childless aunts are a sizeable segment of younger women with disposable income, dynamic influence, and a digitally-connected lifestyle who are extraordinarily generous with the children in their lives, those children’s parents, and our communities at large. 23 million American women are PANKs and are found to collectively spend $9 billion on gifts for children not-their-own each year. On Auntie’s Day – a “Mother’s Day” for aunts - aunts and godmothers will be celebrated with special activities and gifts. The official Auntie’s Day web destination (www.AuntiesDay.com) will feature ideas on how parents and nieces and nephews can celebrate the Savvy Auntie in their lives and how aunts can pamper and treat themselves on their special day. Founded by Melanie Notkin, Savvy Auntie is the multi-platform lifestyle brand that empowers and engages aunts, serving the PANK demographic discovered and coined by Notkin, and heralded by fabulous kid-loving women everywhere as a modern celebration of Aunthood. Notkin launched SavvyAuntie.com in 2008 and it remains the first and only resource and online community for this demographic. The brand also includes a popular and engaged social media following, Auntie’s Day – a national day founded by Notkin to honor aunts and godmothers, the Savvy Auntie Coolest Toy Awards and Melanie Notkin’s national bestseller: Savvy Auntie: The Ultimate Guide for Cool Aunts, Great-Aunts, Godmothers and all Women Who Love Kids (Morrow 2011). As a lifestyle expert, toy expert and a taste-maker for children’s trends, Notkin appears on TV and as a spokesperson for brands. For more information, visit: SavvyAuntie.com and MelanieNotkin.com. New York, NY – November 11, 2014 – Melanie Notkin, founder and CEO of Savvy Auntie, the multiplatform lifestyle brand for aunts and godmothers, announces her 6th Annual Savvy Auntie Coolest Toy Awards for the 2014 holiday season. This year, 20 toys have made the coveted editorial list. Savvy Auntie is focused on the growing influential niche of American women who love the children in their lives, but don’t (yet) have children of their own. This powerful demographic Notkin dubbed PANKs® (Professional Aunts No Kids) has a strong desire to make the most savvy toy choices each season. With many toy marketers and toy lists focusing on primary caregivers, Notkin created the Savvy Auntie Coolest Toy Awards in 2009 to give aunts and other secondary caregivers the toy-savvy they need to make the best gift choices for the children in their lives. Savvy Aunties may be secondary caregivers, but they are primary gift givers. According to a 2012 joint-study entitled: The Power of the PANK, by Savvy Auntie and Weber Shandwick, there are 23 million PANKs in North America, women age 18+ who are not (yet) moms but have a special bond with a child in their life. PANKs spend $9 billion a year on those children, baseline just one child per PANK. A whopping 76% of PANKs spend over $500 per child in her life, per year. Notkin’s annual toy list helps those generous aunts and godmothers pick the right toys for the children they love. Notkin’s annual toy list certainly helps Aunties maintain that “Cool Aunt” status. And Notkin’s toy list also fosters what she’s playfully dubbed: “QualAuntie Time.” The playtime time an Auntie spends with a niece or nephew of any age is quality time - often uninterrupted playtime - an important part of any baby and child’s developmental growth. Studies show that from pretend play as babies and toddlers to social development and problem solving as big kids, toys that children enjoy playing with are often an important part of their development. Savvy Aunties are giving kids gifts they crave as well as giving them the opportunity to develop necessary skills through having fun. There are 20 winners in all, sorted by age. For more information on each award winner and ‘Why Savvy Auntie Loves It’, visit SavvyAuntie.com/ToyAwards. Please note: prices may vary throughout the season. Melanie Notkin is also the author of Otherhood: Modern Women Finding a New Kind of Happiness (Seal Press / Penguin Canada 2014) and appears on TV as taste-maker for children’s trends and is available immediately as a lifestyle expert for Holiday Gift Guide stories and TV segments, as well as other child lifestyle expertise as needed. For additional information on the Savvy Auntie Coolest Toy Awards or on-air and talent inquiries: Press@SavvyAuntie.com. For more information, visit: SavvyAuntie.com. New York, NY – November 8, 2013 – Melanie Notkin, founder and CEO of Savvy Auntie, the multiplatform lifestyle brand for aunts by relation, aunts by choice and godmothers, announces her 5th annual list of coolest toys for the 2013 holiday season. In all, 21 toys have made the coveted list this year. Notkin is the tribal leader for the underrepresented influential niche of American women whom she’s dubbed “Savvy Aunties.” This powerful demographic of PANKs® (Professional Aunts No Kids) has a strong desire to make the most savvy toy choices each season. With many toy marketers and toy lists focusing on primary caregivers, Notkin created the Savvy Auntie Coolest Toy Awards in 2009 to give aunts and other secondary caregivers the toy-savvy they need to make the best gift choices for the children in their lives. Savvy Aunties may be secondary caregivers, but they are primary gift givers. There are 21 winners in all, sorted by age range. For more information on each award winner and ‘Why Savvy Auntie Loves It’, visit SavvyAuntie.com/ToyAwards. Please note: prices may vary throughout the holiday season. Founded by Melanie Notkin, Savvy Auntie is the multi-platform lifestyle brand that empowers and engages aunts, serving the PANK demographic discovered and coined by Notkin, and heralded by fabulous kid-loving women everywhere as a modern celebration of Aunthood. Notkin launched SavvyAuntie.com in 2008 and it remains the first and only resource and online community for this demographic. The brand also includes a popular and engaged social media following, Auntie’s Day® - a national day founded by Notkin to honor aunts and godmothers, the Savvy Auntie Coolest Toy Awards and Melanie Notkin’s national bestseller: Savvy Auntie: The Ultimate Guide for Cool Aunts, Great-Aunts, Godmothers and all Women Who Love Kids (Morrow 2011). As a lifestyle expert, toy expert and a taste-maker for children’s trends, Notkin appears on TV and as a spokesperson for brands. For more information, visit: SavvyAuntie.com. Melanie Notkin appears on TV as taste-maker for children’s trends and is available immediately as a lifestyle expert for Holiday Gift Guide stories and TV segments, as well as other child lifestyle expertise as needed.